We understand that a rental property may well be one of your biggest assets. That's why, as your agent, we will always have your best interests at heart. CGT Lettings Ltd offer packages to suit all types of landlords, depending on the assistance and input you think you need. We pride ourselves on our professionalism and are covered by ARLA and the Property Ombudsman Scheme, plus we are members of the Tenants Deposit Scheme (TDS) meaning that we authorised to hold bonds on landlords' behalf. 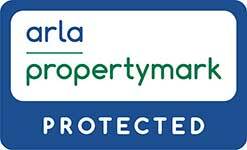 Membership of a Government Approved Client Money Protection (CMP) scheme is a legal requirement for all agents dealing with residential lettings across England.. CGT Lettings fully complies with this legislation through our membership with ARLA Propertymark. With 30 years' experience in the property business, combined with our unparalleled knowledge of the local market in and around Gloucestershire, we offer a free fast and accurate no obligation valuation that you can trust. We have a large database of fully vetted applicant tenants waiting to view your property, and we match them swiftly to your property via SMS, email and telephone - plus we offer unrivalled property exposure via a suite of promotional tools including web, e-marketing, print and online advertising. Once we have found your perfect tenant, our ARLA qualified team undertake the necessary procedures, minimising void periods and re-letting your property, fast! For a better approach to lettings, contact us today. We have flexible packages to suit every landlord. From a complete management service included guarantee rent to a package that will let you manage the property and we'll deal with the admin and advertising. LANDLORDS interested in stress free Letting with more protection ask your Branch Managers about the benefits of working with Flatfair. CGT Lettings are pleased to be working with Flatfair to over a simple safe and affordable alternative to Tenancy Deposits offering landlords more protection, fewer void periods and a bigger market for prospective tenants. Available with our Silver and Bronze Packages. The Gold Package provides landlords with a complete property management service including liasing with your tenants for all maintenance related issues, and it also covers the non payment of rent the month it is due, with no excess and regardless of whether or not the tenant pays. You can therefore rest assured that your property is being professionally managed, whilst never having to worry about rent arrears or legal fees. We believe this rental guarantee really is a fantastic unparalleled service, unseen elsewhere in the local market and is a brilliant guarantee of income for all landlords. The Silver Service is a full management package, only you know how much time you can spare to deal with your tenant's telephone calls and the resulting work. Our comprehensive Property Management service is designed to give you peace of mind and relieve you of the commitment of being a full-time landlord, which is why we look after around 1650 properties on behalf of clients in Gloucestershire. This package includes the marketing and sourcing of new tenants before the tenancy begins to the preparation of all legal documentation. We will then assist you with all maintenance related issues throughout the tenancy from small repairs to refurbishment of your property, including renewing the landlords Gas Safety Certificate, Portable Appliance testing and obtaining Electrical Installation Certificates when they are due. Finally, we will assist you with the deposit at the end of the tenancy, helping you to source quotes, aid negotiations and providing any legal knowledge we can to guide you through the process. The Bronze Service is designed for landlords who do not wish to become involved with the marketing, administration or referencing when securing a tenant, but wish to manage the property themselves once the tenant has moved in. We will advertise your property, find you a tenant and handle all the necessary legal paperwork - we would also advise the preparation of an inventory, even on unfurnished properties, which can be arranged at a small additional cost. of rent and paid within 20 days of rent due date. With a great number of people opting to rent their homes residential landlords have a responsibility towards their tenants that we are all too aware of, however, as a residential landlord, you may face new risks and responsibilities. As a landlord you will need to consider sudden emergencies like flooding, burst pipes, fire or weather damage. You will also need to consider other eventualities like how you would cover costs should your property become uninhabitable following an insurable incident and you need to rehouse your tenants, or how you would pay for repairs if the property was damaged, for example by impact from a third party vehicle. That’s why you’ll likely need a helping hand getting suitable landlord’s building insurance policy that helps ensure you have cover in place for unexpected circumstances that may otherwise cost you dearly. Gallagher is one of the world’s leading insurance broking groups with over 45 years’ experience in landlord’s insurance¹. Our friendly, professional team will take the time to discuss your needs and help you choose the cover that’s suitable for you. Offering broad protection with the service you demand… At Gallagher we’re competitive, we’re comprehensive, we’re responsive and we’re attentive. Independent: We’re not tied to one insurer so you can always be sure we’ve got your interests at heart. Established: we have over 4 decades combined of rental property and buy-to-let building insurance experience. Accessible: Claims management dedicated to the efficient handling of your claim, when you need it. Money saving: As one of the World’s largest brokers we can benefit from significant international reach and can negotiate with many of the leading insurers to pass the savings on to you. Care you can trust: a dedicated claims service based out of Gallagher Chichester offering a professional service when you need it the most. Easy set-up: you get your documentation quickly and in a format to suit you. Landlord contents cover: protects the property fixtures, fittings and furniture that are yours up to £100,000. Alternative accommodation cover: if your property becomes uninhabitable due to an event covered by your policy, re-housing costs up to 30% of the buildings sum insured limit will apply. Accidental and malicious damage cover: it can happen – the insured incident within the policy cover will help make sure you don’t lose out if it does. For us, it’s about doing a great job for you. Come and talk to Gallagher: we’ll take care of the rest. CGT Lettings Limited is a Appointed Representative of Arthur J. Gallagher Insurance Brokers Limited which is authorised and regulated by the Financial Conduct Authority. Registered Office: Spectrum Building 7th Floor, 55 Blysthwood Street, Glasgow, G2 7AT. Registered in Scotland. Company Number: SC108909. Gallagher is the brand name of the Arthur J. Gallagher group of companies. Landlords – 3 reasons to choose CGT to look after your property. CGT Lettings are licensed members of The Association of Residential Letting Agents (ARLA) as well as a SafeAgent. A requirement of our membership is that we are audited 3 times a year, all client money is held in a client account and protected under the ARLA bonding scheme, staff are obliged to attend training courses to keep abreast of legislative changes as part of their continual professional development, and as a company we must adhere to a strict code of conduct. We have been established since 1987 and are a specialist lettings and management company. The majority of our business is generated from recommendations and we have many longstanding clients, some have been with CGT for over 20 years. We are a friendly welcoming team and will always go that extra mile to ensure that you receive the best possible service. Nothing is too much trouble and we are always on hand to help.